The following was written by Clive Young in the August 2018 edition of Pro Sound News. For most people, accessories are what you buy after your main purchase. For Mike Belitz, accessories are the main purchase. In 2007, he acquired Ultimate Support Systems, a high-end accessories company that offers every kind of music gear-related stand you can think of, as well as studio furniture, cases and more. Then this past January, the big buzz of the NAMM Show was that he’d netted Radial Engineering, the longtime producer of DIs, effects pedals, 500 Series boxes and more, as well as its other brands: Primacoustic, Jensen Transformers, Hafler and Dynaco. Belitz knows his markets well, having been immersed in them since a young age. Starting out taking lessons from his dad, a world-class player, he became a professional keyboardist, but eventually he moved into the pro audio world. As it happened, he became a product specialist at Alesis around 1990, just before it skyrocketed with the release of the ADAT digital recorder. 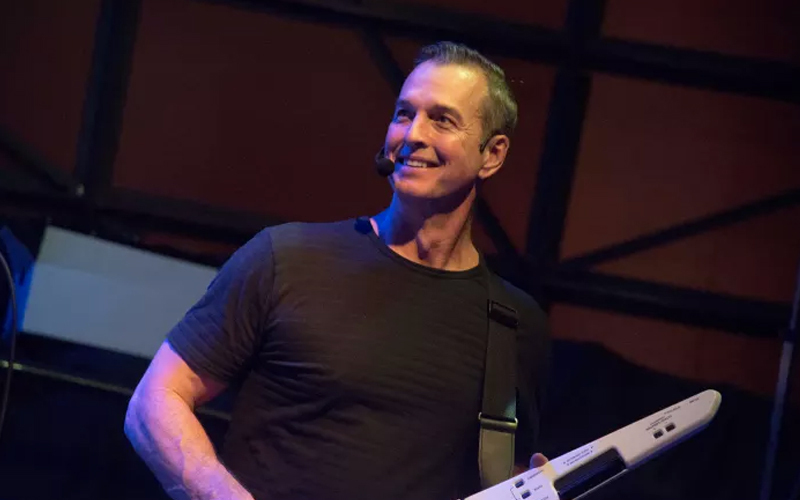 From there, he moved with Alesis’ exiting management to assist in a startup, Event Electronics, where he worked for three years before going out on his own. “I recognized an opportunity in the western states markets, developing a rep firm called Sonic Sales, which I owned and operated until 2009,” he recalls. “During my time there, we represented several lines—including Ultimate Support Systems.” Sonic became Ultimate Support’s top rep firm, and when the opportunity came to buy the company in 2006, Belitz jumped at the chance. That said, while the companies have much in common, they are distinct in that they continue to operate as separate entities, and Belitz now divides his time between their two headquarters. Ultimate Support is based in Loveland, CO, while Radial Engineering resides in Port Coquitlam, BC, Canada. Together, the companies have roughly 150 employees and contractors. The engineering and development teams have the tools and resources to act on those insights. The companies’ internal capabilities include full-time machining/prototyping via CNC machining and 3D printing, allowing them to conceptualize, create mechanical designs, test, produce and implement quality control processes entirely in-house.